The development of additive manufacturing methods, such as 3D printing, allows the design of more complex architectured materials. Indeed, the main structure can be obtained by means of periodically (or quasi-periodically) arranged substructures which are properly conceived to provide unconventional deformation patterns. These kinds of materials which are ‘substructure depending’ are called metamaterials. Detailed simulations of a metamaterial is challenging but accurately possible by means of the elasticity theory. 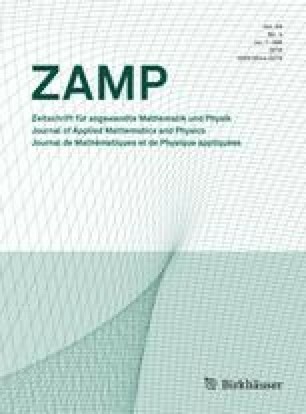 In this study, we present the steps taken for analyzing and simulating a particular type of metamaterial composed of a pantographic substructure which is periodic in space—it is simply a grid. Nevertheless, it shows an unexpected type of deformation under a uniaxial shear test. This particular behavior is investigated in this work with the aid of direct numerical simulations by using the finite element method. In other words, a detailed mesh is generated to properly describe the substructure. The metamaterial is additively manufactured using a common polymer showing nonlinear elastic deformation. Experiments are undertaken, and several hyperelastic material models are examined by using an inverse analysis. Moreover, a direct numerical simulation is repeated for all studied material models. We show that a good agreement between numerical simulations and experimental data can be attained. IG is supported by a grant from the Government of the Russian Federation (No. 14.Y26.31.0031). We thank Prof. Wolfgang H. Müller for fruitful discussions.